Although Mark Jackson was born in Whitehorse, he was a youngster when his family moved to Wetaskiwin where Mark started and completed his schooling. As his older brother had the only pair of skates in their home, Mark took up bowling rather than hockey. During his bowling career he was a champion at the local, Provincial and National levels. In his amazing career, he represented Alberta at twenty-one different National Championships. It is for his many accomplishments over thirty-nine years in 5 Pin Bowling that Mark is being inducted into the Wetaskiwin and County Sports Hall of Fame. Mark started bowling as a twelve year-old in the Wetaskiwin Youth Bowling Council (YBC) league and in 1969 was a member of the Wetaskiwin YBC Team that won the Provincial Championships. From 1971-1974 Mark participated in the Alberta High School Provincial Championships and won the team gold medal in 1974. Once out of high school, Mark participated in many weekly bowling leagues in Wetaskiwin, Leduc and Edmonton. While bowling league in Wetaskiwin, he attained the League City High Average, High Triple and High Single for many years. 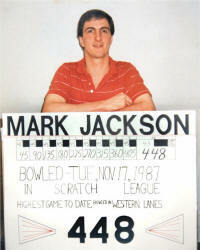 Mark holds the City of Edmonton record for High Average of 286 in league play. 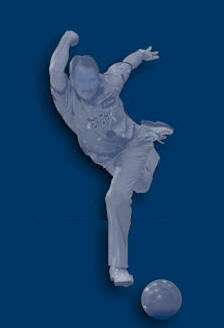 Mark has bowled more than 25 games of 400 and over and bowled one perfect game of 450 in 2004. 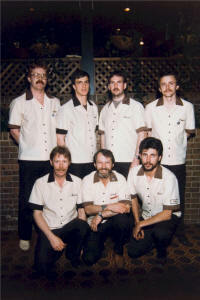 For twenty-seven years Mark participated in the Alberta Open Provincial Championships in both single’s and team events and was selected Tournament All-Star at several of these Championships. He was a member of winning Provincial teams five times (1989, 1990, 2000, 2003, and 2004). As a member of those five Provincial Championship Teams, Mark represented Alberta in the Canadian Open National Championships where he and his teammates were National Champions twice (2000, 2003), third once (2004) and fourth two times (1989, 1990). Three of those years (2000, 2003, 2004) Mark was selected as a Tournament All-Star. 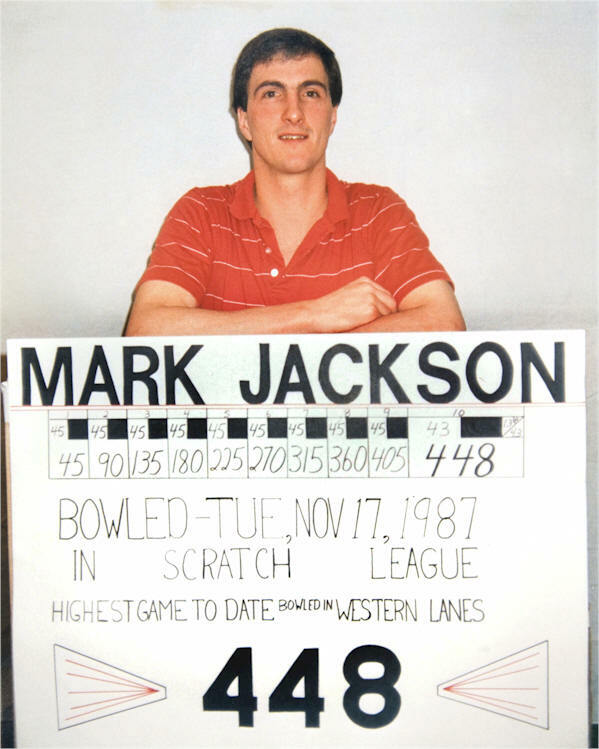 At the National Championships in 1988, Mark was the Alberta representative in Men’s Singles competition where he finished fourth and in 2004 Mark set the record for High 16 Game Pinfall (4734 - 295.8 average/game). Mark also participated in the Master Bowlers’ Association of Alberta for ten years and was on the winning Provincial Team four times (1988, 1991, 1994, 1998). Those four years his team traveled to the National Championships and won the team gold medal twice (1988, 1994) and placed fourth once (1991). In 1998 Mark also won the silver medal in Men’s Singles Competition at the National Championship. Besides competing in the Open and Master’s bowling competitions, Mark represented Alberta in ten National TV Championships. 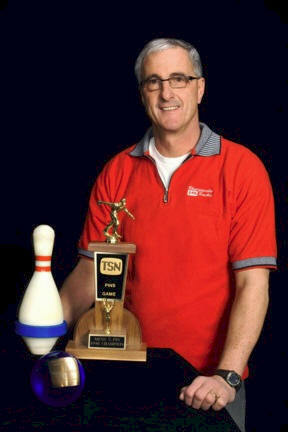 He competed three times in the TSN Pins Game and was the Champion in 1998. As well, he competed seven times in CBC Champion Series, reaching the quarter finals in 1989 and the semi finals in 2003. 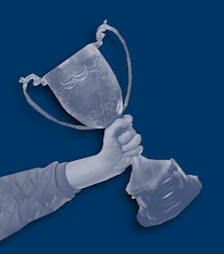 For over twenty years Mark also competed in open tournaments across Western Canada. He has won top prize two times in each of the Manitoba, Regina and Edmonton tournaments and won once in each of the Saskatoon, Calgary and Kelowna tournaments. Mark retired from competitive bowling in 2007, ending his long and illustrious career. Besides competing, Mark also obtained his Level I Coaching Certificate. He has coached a YBC Bantam boys team in Wetaskiwin, a Provincial Open men’s team as well as a Master’s National Ladies team. He also served as a member of the Wetaskiwin local 5 Pin Executive. Mark was recognized for his accomplishments with the City of Edmonton Salute to Excellence Award in 2000 and 2003. He was a member of the Master’s Tournament Division for 10 years and the Alberta Five-Pin Bowlers’ Association for 27 years. In 2009 Mark was named one of the Century of Excellence Top 100 Male Bowlers by the Canadian 5 Pin Bowlers’ Association on the 100th anniversary of 5 Pin Bowling in Canada. We recognize the hours of practice, effort and dedication that Mark has put into his sport and that have contributed to his successes. His outstanding achievements and longevity in 5 Pin Bowling are being affirmed by his induction into the Wetaskiwin and County Sports Hall of Fame. Read the opening comments made by Collen Grinde when introducing Mark Jackson.